Work & Travel USA is, as its name suggests, an exchange visitor programme that gives you the opportunity to work and travel in the United States. 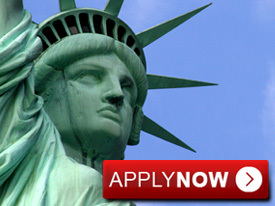 As a participant, you will have the unique chance to experience life in the U.S. as more than just a tourist. You will also be able to share your own traditions and culture with the American people, as well as other international students. Third, you will get further information regarding the parameters of the Work & Travel programme and living and working in the U.S. Type of job	 Entry-level jobs in hospitality industry. Salary (other benefits)	 $5.15-$10 depending on the position. Federal minimum wage of $5.15 per hour is paid in non-tipped positions. Accommodation Available at average of $75 to 125 per week. We find reasonably priced housing for most participants. Location of job placement USA, various locations. Duration of the placement	 3 - 4 months during your university vacation, after which you are allowed to travel up to 1 month within the US. When to apply? 3 months before the planned start date. Eligibility. Who can apply? All applicants must be 18-30 years old. Application process in more detail. APPLY for the programme & BOOK online! During the summer, you will work side by side with your U.S. counterparts at temporary entry-level jobs. It allows you to earn modest spending money and, at the same time, offset some living and travel expenses during your stay. After finishing your work commitment, you have an optional travel period to sightsee and further explore the American landscape. We are looking to place each participant in a job or position based upon interest and skills. However, it is very important that you are flexible about the type of work you will be doing. There are certain restrictions as to what you can do. You may not be employed as a domestic employee in U.S. households or in a position that requires you to invest your own money to provide yourself with the inventory for the purpose of the door-to-door sales. Most of the jobs are located throughout the United States in isolated resort areas, not in city centres. This does not mean that there are no interesting people in these areas or that there is nothing to do. You will be with people from the U.S. and with other international students who are either working or vacationing nearby. Instead of focusing on urban nightlife and parties in your free time, you will have the opportunity to explore local areas of natural beauty and tourist attractions. The Work & Travel USA programme allows you to work up to 4 months during your university vacation, after which you are allowed to travel up to 1 month within the US. You must be available for work for at least 3 months in order to participate in our programme, though. We need to know the start and end dates you are available to work. These dates will determine which jobs are available for you as they have to correspond with those indicated on the Job Description Document. The salary you will get should cover the cost of living and enable you to save some extra money to help reduce travel expenses. With a Global Choices job, you can generally expect a 6-8 hour workday and a 5-6 day workweek; you will probably be working 35-40 hours a week. You can expect to receive the Federal minimum wage. This amounts to $5.15 per hour in non-tipped positions and at least $2.13 per hour in tipped positions. Our partners in the USA take great care to make sure that all job offers provide a fair wage in relation to the cost of living in the area. Applicants should also keep in mind that most jobs are dependent upon tourist activity. Employees are generally paid every two weeks. Depending on when you start your job, you may not receive your first pay within the first 3-4 weeks. We recommend having at least $600-700 USD upon arrival above the cost of travel to jour job, first month’s rent, and a security deposit for housing, if applicable. Please, remember that the goal of the Global Choices Work & Travel programme is to provide a cultural exchange. The knowledge and experiences that you gain from this programme will be the result of your own efforts and enthusiasm. Your summer will be what you make of it - so make it great! "My duties included assisting servers with serving guests and preparing the restaurant for each shift. My expectations were met and I was not disappointed. Also, I had a lot of fun and enjoyed my position. The best part of my job was meeting a lot of different people from all over the United States. Also, learning new things about the restaurant business. I enjoyed my work atmosphere and all of my co-workers were very nice"
"I'm writing today just to thank you for all that you have done for me, being patient with me all this while, helping me get all the required documents and all. I quite remember when i started, it was just a random internet search but you guys made it happen for me though not as we all wish it will end but i know i wouldn't have gotten that far without your help. It's so unfortunate that i didn't write letters of appreciation as often as i should all along the line when you were getting my papers processed and submitting to the right offices and so on for this and many other reasons. I will help to promote your business by spreading your good name all around and drawing more people to you. After all that is the least i can do to help you as much as you did me."